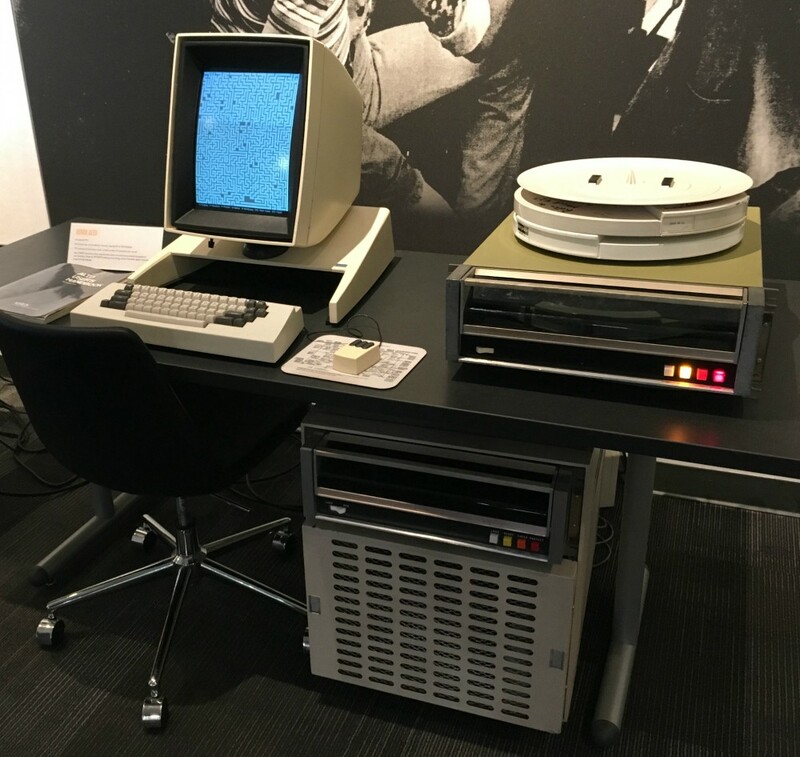 Anyone interested in the history of personal computing will surely have heard of the Xerox Alto, but when’s the last time you got to play with one? It’s been a while even for Paul Allen — long enough that he decided to have a couple restored at the Living Computer Museum in Seattle. Don’t worry if that’s too far for you to visit (it’s right down the road for me, just saying) — the team also created a highly accurate emulator so you can experience Xerox’s UI revolution from the safety of your home. Allen, who founded the museum, gives a brief history of the Alto and its tremendous effect on personal computing (far too extensive to go into here) before showing off the two restored units. “It’s one thing to read about a true breakthrough, something else to see it in action,” he wrote. The Alto used Ethernet to communicate with other computers (another innovation), and the restoration team made sure that worked, too — and not just so the two could talk to each other. They also made a 3-megabit Ethernet bridge that allows the Altos to communicate with modern computers. That is, if a new PC can understand the old-timers’ crazy lingo. Y Combinator has also been working on getting an old Alto working, and has documented the process pretty extensively if you’re interested in the details (and why wouldn’t you be?). Lots of posts to read through: day 1, day 2, day 3 and day 4 — and more to come. Their work was also a collaboration with the museum; there will soon even be a gateway to allow the Altos to network over the internet. 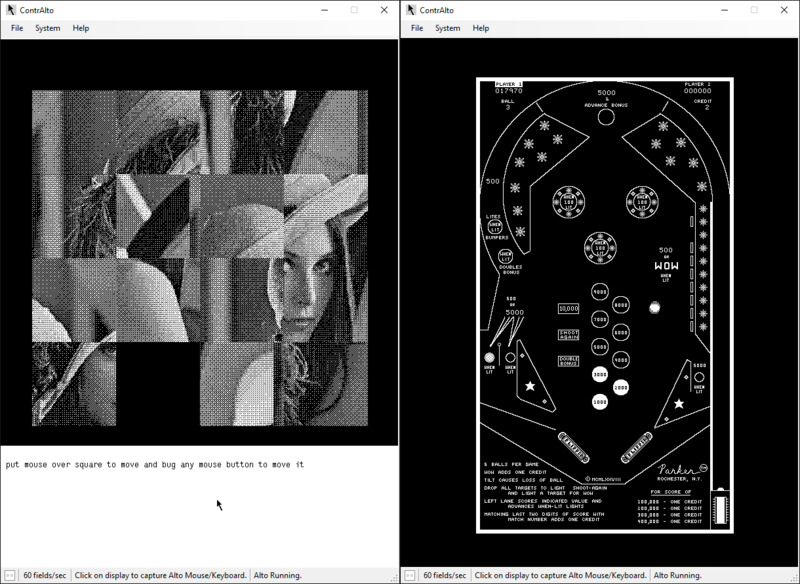 Playing MazeWar with someone on another continent will be an original experience, but likely one that Xerox engineers would have predicted back in the 1970s. Lenna, of course. The Pinball game cleverly uses the mouse as the ball (you can see it blazing by just right of center). There’s already an Alto emulator, Salto, but its author admits it’s “kind of buggy” and not feature complete. ContrAlto appeared, in my brief testing, to work quite well — games and apps loaded up, though, of course, some crashed, owing to my not knowing the boot order of this or that. You can work it out and do a little early WYSIWYG editing in Bravo or play Breakout. You’ll need to start the OS and load the disk — drop a ? in the command line to get a list of executables. If you’re from the area or just visiting, drop by the Living Computer Museum and check out the Altos and dozens of other interesting (and working) artifacts from computing history. It’s in SoDo and free on first Thursdays.